Earlier today I was in a conversation with a Procurement Manager for a very busy national business. We were discussing the triggers that were missing within their business for identifying and communicating the long lead-time items on projects. You'll know the sort of things that I mean, the items that you can't pick up next day and typically cannot be replaced with a similar item. The manager was half complaining, half justifying the actions of the business. Whilst it is true that the world hasn't stopped to date because of this linkage being missed out in the business it is also true that they only achieve their mediocre on time delivery results through blood, sweat and tears. This is also the case for many businesses, and it can be different by changing just a couple of minor things within a business. Let me give you a few examples. Fixing the parameters of a capacity planning tool and enforcing the output of the capacity plan allowed one business to improve their on time delivery performance (OTIF - On Time In Full) from 50% to an average of 95% in just over three months. Enforcing the capacity plan actually gave their customers a better overall experience too. Re-defining the handovers between departments within another business allowed them to get their shop floor paperwork into production faster, and this allowed them to ensure a better on time start of their manufacturing orders... which translated into a better on time finish of their orders (catching up is always a high energy sport!). Stopping saying yes to every request that was made to a service company allowed them to focus on their core skills. They stopped slipping on every project and started becoming known for delivering as promised, on time. Their profits rose and they let others pick up the 'weird and wonderful' projects. 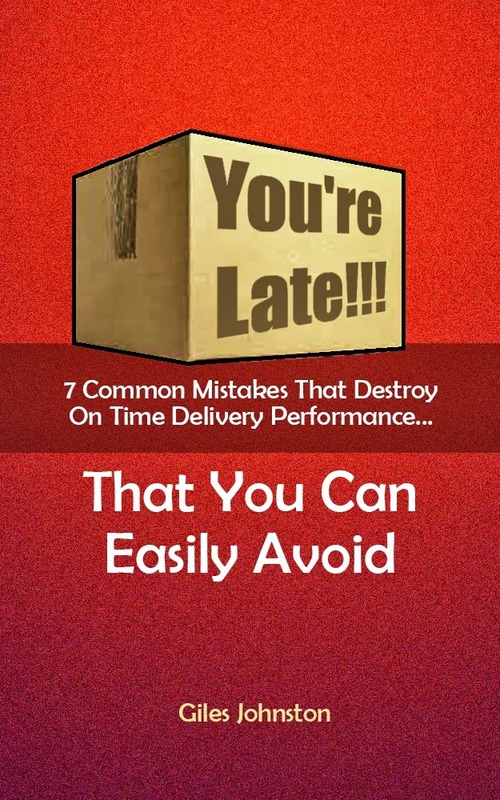 These are just a handful of examples where a small change allowed a business to stop having to kill themselves to achieve high levels of on time delivery. Change doesn't have to be hard if you pick the right things to change and if you do it in partnership with your team it can happen smoothly. 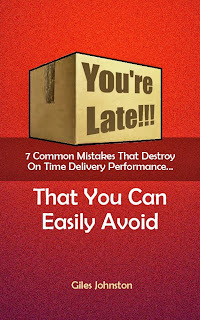 If you want some simple but powerful ideas for your business to improve its on time delivery performance then sign up for my free guide and email course; You're Late!!! contains seven tried and tested strategies (the same ones I use with my clients) that you can put into practice from today. As for the business I mentioned at the start... I have left a voicemail for one of their Senior Managers to phone me back, to discuss blood, sweat and tears!